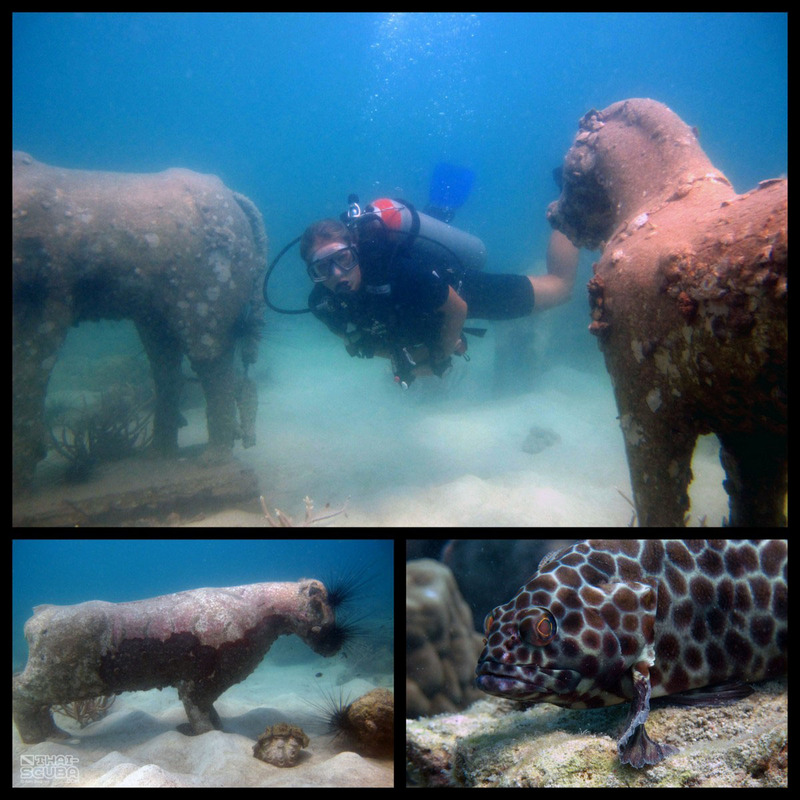 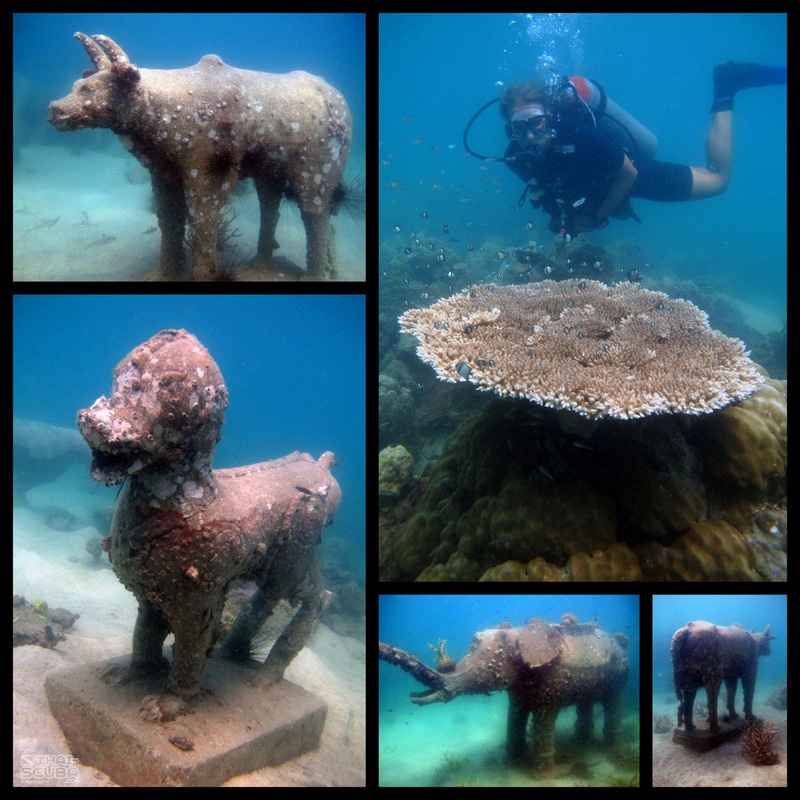 The sculpture garden of Ko Raet’s south end is definitely one of the most unique dive sites around Ko Kood. 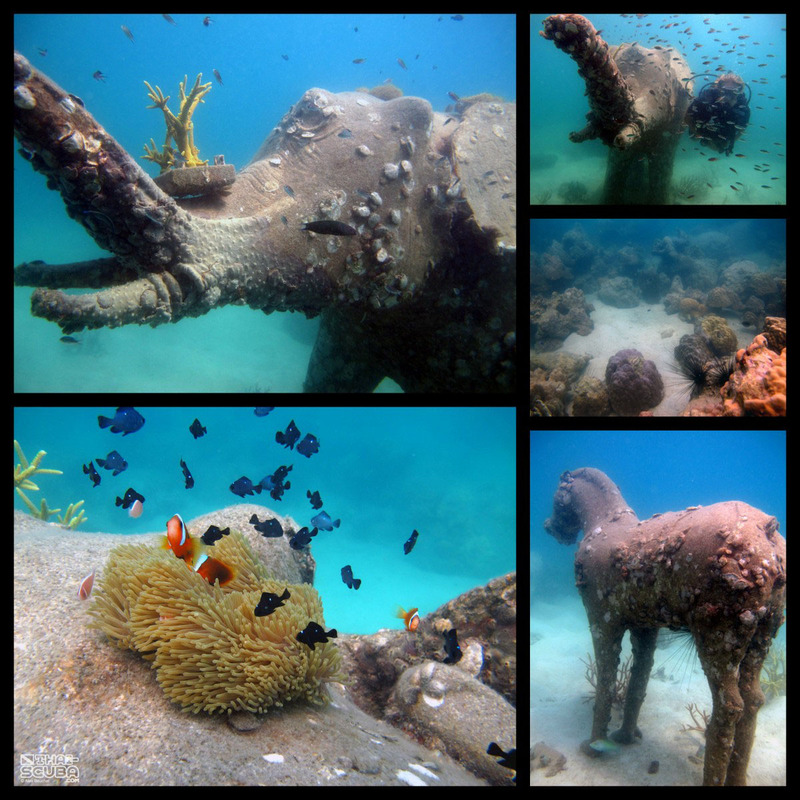 Ko Raet, a small island just west of Ko Kood is home to a number of artificial reef projects. 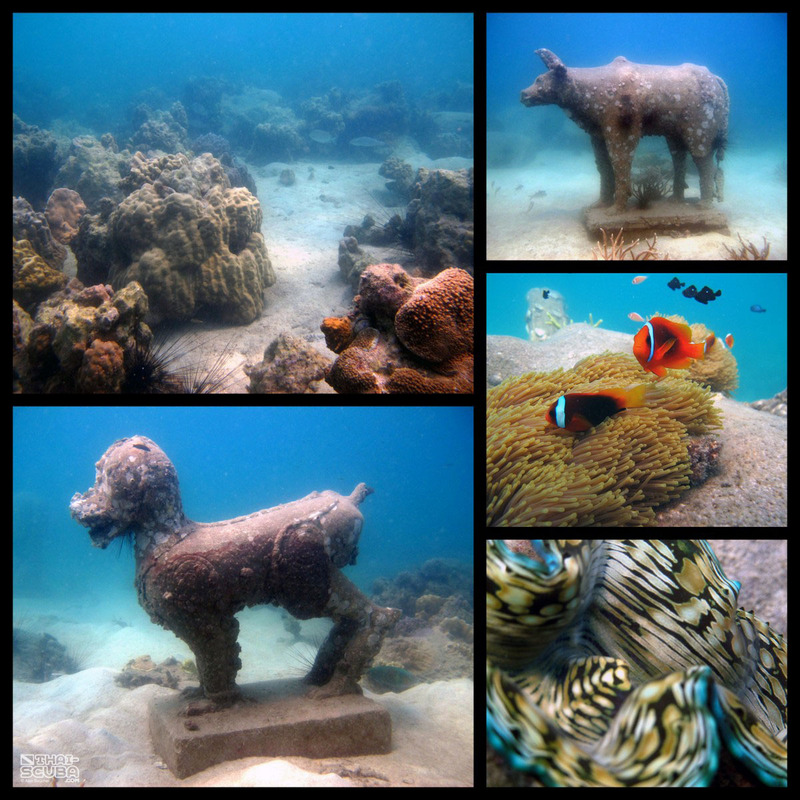 The sculpture garden assembles several animal sculptures placed in an area of powdery-white sand. 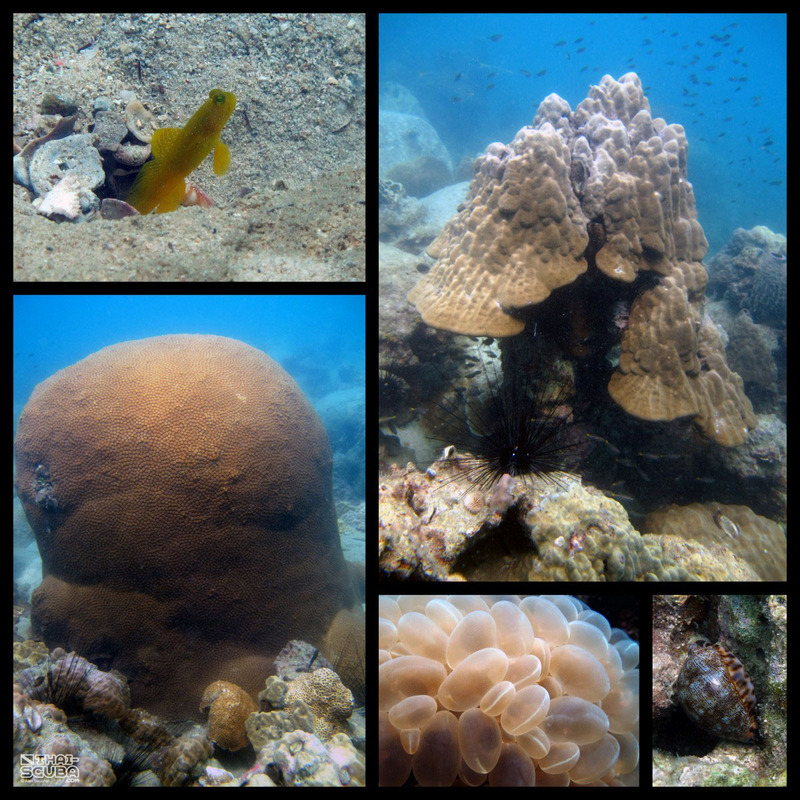 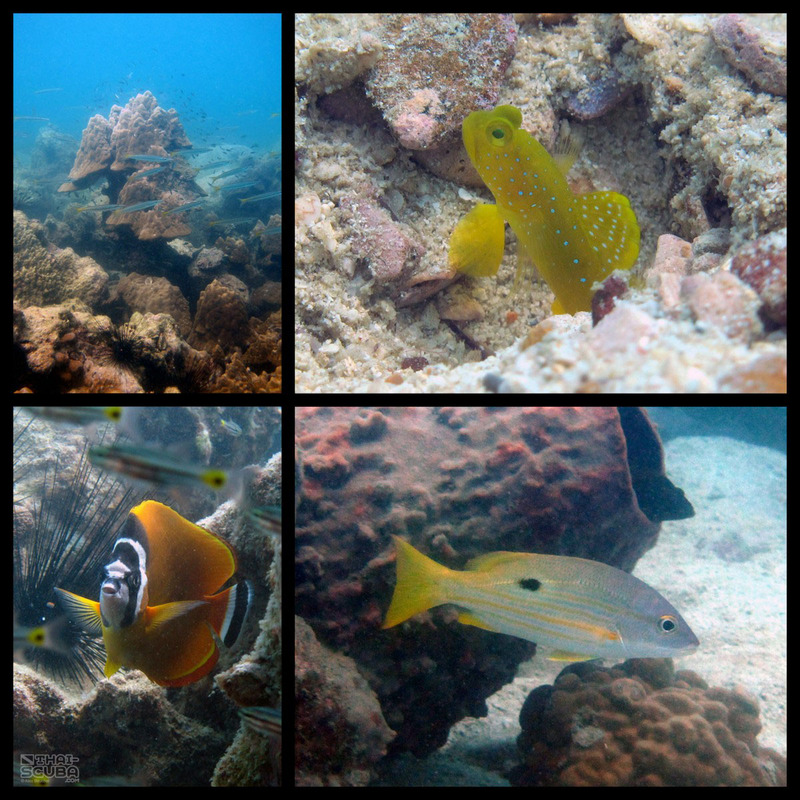 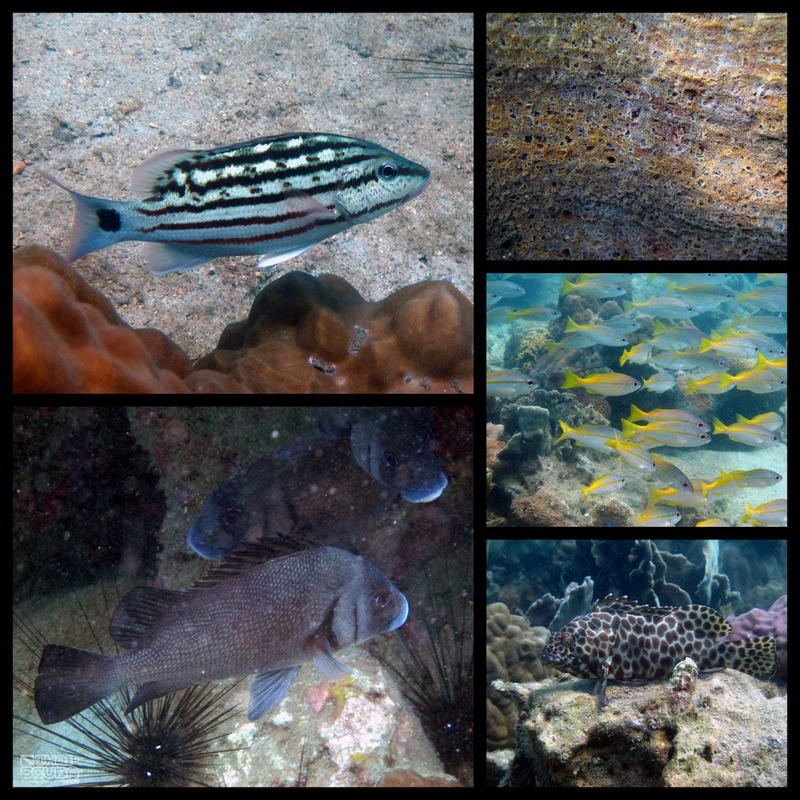 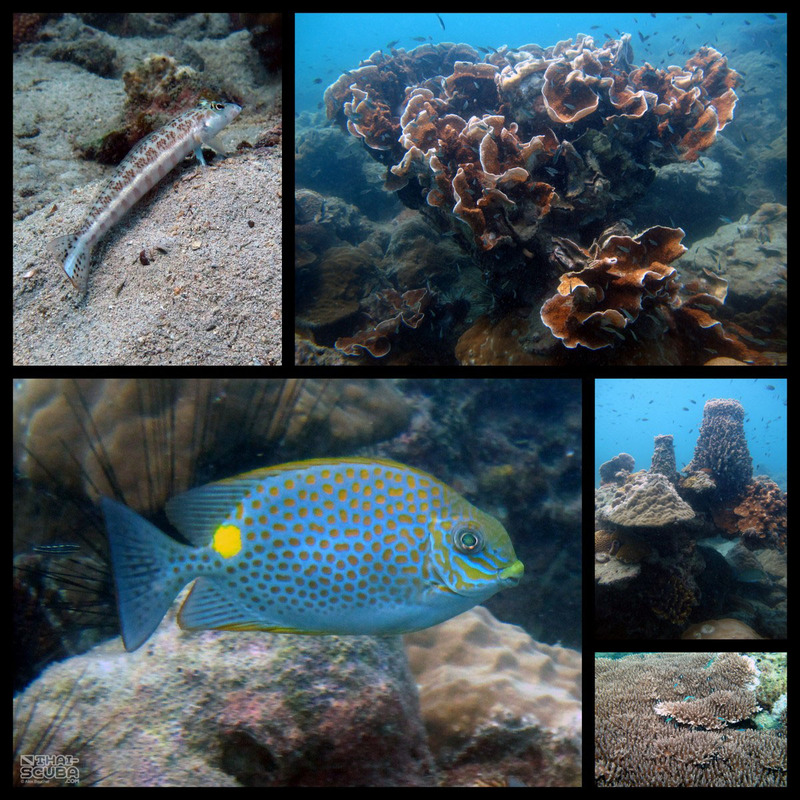 However, the nearby natural reef is a true highlight just by itself with lots of dense, cavernous coral structures.